Game of Thrones hype is real, with just about everything in the news appearing to touch on the popular series. Brands are also quick to jump on the bandwagon. Earlier on, Oreo came up with a Game of Thrones-themed opening created with limited edition cookies. Now, Shake Shack is revealed to have a secret Game of Thrones menu—but you will have to be somewhat versed in ‘Valyrian’ to access it. Ahead of the eighth season premiere, the burger giant has come up with the innovative ‘Dragonglass Shake’ and ‘Dracarys Burger’. The sandwich, an apparent ‘Dothraki’ delicacy, features bacon supposedly imported from ‘Essos’, according to The Takeout. The shake is described to be topped with ‘Dragonglass’ shards, hence its name, derived from the caves of ‘Dragonstone’. The real trick lies in how you order from this secret menu. If you just ask for the items normally, you will not get what you want. You can only succeed if you ask in ‘Valyrian’. Shake Shack will also be providing you an infographic to help you through. 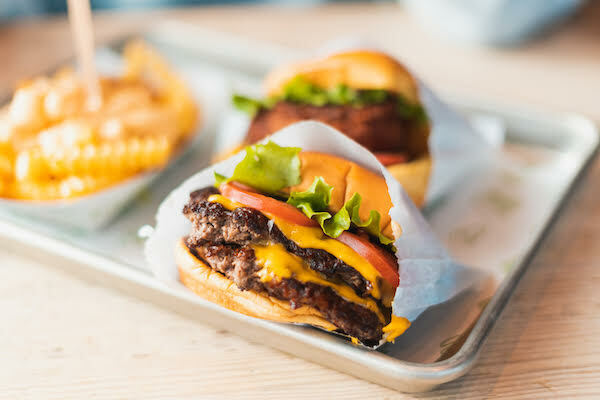 Unfortunately, the menu is not available in all outlets, and can only be found in the Shake Shack in the Flatiron District at Madison Square Park of New York City. Talk about being exclusive. The intriguing ‘Dragonglass Shake’ will be available till 19 May, while the ‘Dracarys Burger’ will be available till 21 April. For Game of Thrones fans dwelling in New York, it is time to polish up your ‘Valyrian’ tongue.